On Sunday afternoon, while the WPX contest was still on, DX Sherlock sent me an email to say that there was a possibility of Sporadic-E propagation on 4m from my location. Getting equipped for 4m is something I'm going to have to leave for another year - right now I'm not steady enough on my feet to go clambering about in the attic making additions to my antenna farm. But I do have a 6m antenna, though it's only a dipole. The KX3 was plugged into it, so I had a tune around 6m, heard a few stations and managed to work OK2OV with 59 reports both ways. Not bad for 10W to an attic dipole. I was quite tired after my session in the CQ WW WPX contest so I called it a day. The following morning DX Sherlock sent another email alert to say there was possible Sporadic-E on 6m. 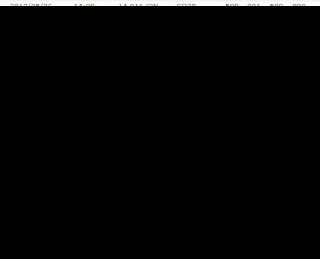 I quickly switched the KX3 on and sure enough, there was a big Sporadic-E opening in progress. I made 18 contacts in all into France, Spain, Italy and Slovenia and heard OK2OV for a second time. Some of the signals were absolutely enormous and I received 59+ signal reports. This was with 10W of SSB to a dipole, remember. Hopefully there will be more Sporadic-E fun before the end of summer. I only managed about an hour on Saturday and a couple of hours on Sunday as I easily get tired out. But I thought it would be an opportunity to put the KX3 through its paces. Although I don't plan on sending in any more than a check log, when operating QRP I like to adhere to QRP power levels, so I limited the KX3's output to 5 watts. Other bloggers have written that conditions were good for the contest, but I thought they were poorer than in previous years. True, there was some activity on 10m this year. But on 20m it seemed I spent more time searching and less time pouncing than on previous occasions. And I didn't hear any US stations at all. Perhaps I was just operating at the wrong time. The KX3 performed superbly hooked up to KComm, my simple logging program for Elecraft transceivers. I logged 30 QSOs with 29 prefixes and 13 countries: Bulgaria, Croatia, Czech Republic, France, Germany, Italy, Latvia, Lithuania, Poland, Serbia, Slovakia, Slovenia and Ukraine. My short term memory is abominable - I forget a serial number the moment I stop to send my serial number to the other station, so I really appreciated KComm's ability to read the text output by the KX3's built-in Morse decoder and print it up on the screen. 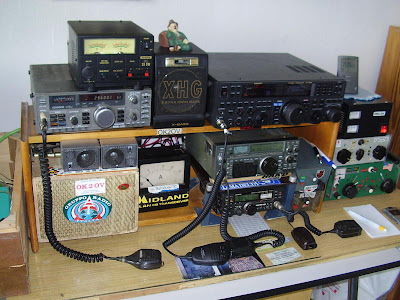 So that was the CQ WW WPX CW 2012 for me. Hopefully next year I'll be able to make a more respectable show. 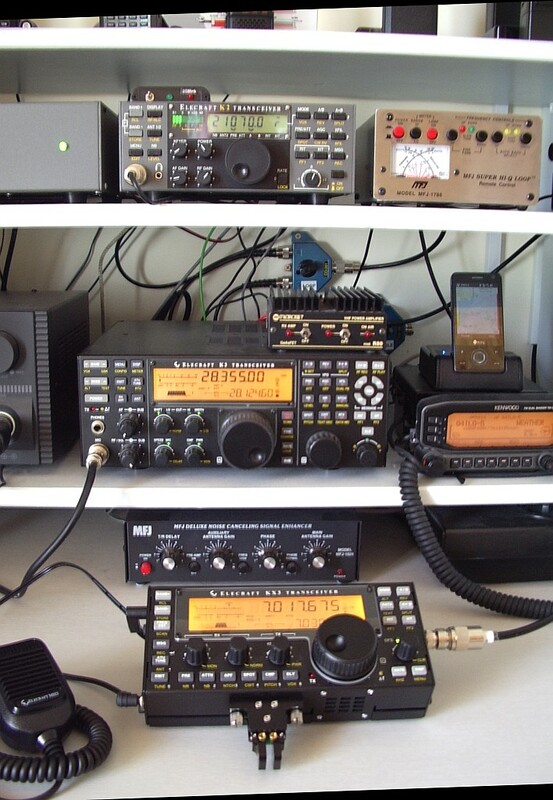 UK ham radio dealer Waters and Stanton plc has announced that they will be exclusive resellers of Elecraft products in the UK. This will be a great benefit to those who like to try before they buy or are just nervous about buying from abroad via the internet. I have been buying direct from Elecraft for 12 years and have never had a problem apart from the high cost of shipping and the courier's tax collection fee, both of which make buying some of the smaller Elecraft kits and modules rather expensive. But then, I have been lucky so far never to have had a faulty radio that had to be shipped back to California. Touch wood. Elecraft has said that UK hams will still be able to buy direct if they want to. A few days ago a package arrived from the USA. Fellow bloggers Eldon, WA0UWH and Jeff, KO7M sent me a Parallax Propeller board with one of Eldon's TCVCXO modules on it. I'm very grateful to Jeff and Eldon for sending this board as I'm not up to making something like that at the moment and as I found a few weeks ago the oscillator on the Propeller prototyping board is not thermally stable enough for WSPR use.  My signal was spot-on frequency and there was zero drift. 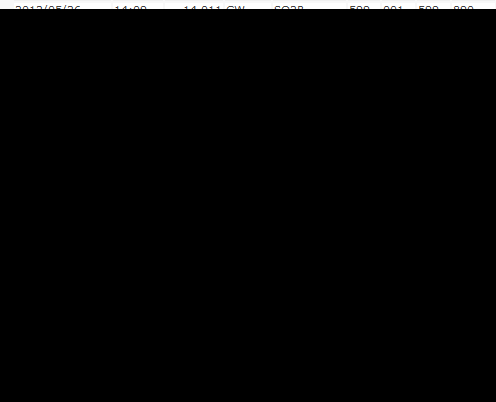 I let it run for several transmit cycles and there was a change of just 1Hz as the components warmed up. I am more than satisfied with that, so hopefully there will be more progress with the beacon project in due course. A couple of weeks ago I received an email to inform me that a 5lb package was on its way to me by UPS from Elecraft. As I had not ordered a KX3 or indeed anything else from Elecraft recently I wondered if I was the winner of a competition I had forgotten about or whether it was just my lucky day. I accepted the explanation from Elecraft Sales that it was just finger trouble at their end - those drop-down auto-complete lists can sometimes be a bit too helpful - and thought no more about it. Actually it was not a complete surprise as by then I had been let into the secret. A fellow Elecraft reflector subscriber, blog follower and someone with whom I have often corresponded about Elecraft and other matters (who wishes to remain anonymous) suggested to Elecraft that, in his words, "in appreciation for all of your constructive criticisms and suggestions over the years of how to improve Elecraft (and other) ham radio products that a fully accessorized KX-3 arriving on your doorstep would be a pleasant surprise." It was, you better believe it! Wayne and Eric were in on the conspiracy, as was a friend of my benefactor who was passing through the UK on his way home from the US and carried the radio across the Atlantic in his hand luggage before consigning it to the Royal Mail for the final leg of its journey. I can hardly find the words to describe how delighted I am at this wonderful surprise. As I have written before, I didn't want to even think about ordering a KX3 until orders were being fulfilled off-the-shelf because my health situation makes it impossible to plan very far ahead. My wish is to "beat the bugger" and survive as long as possible, but having a brain tumour is like having a time-bomb in your head with no idea what the fuse is set to. 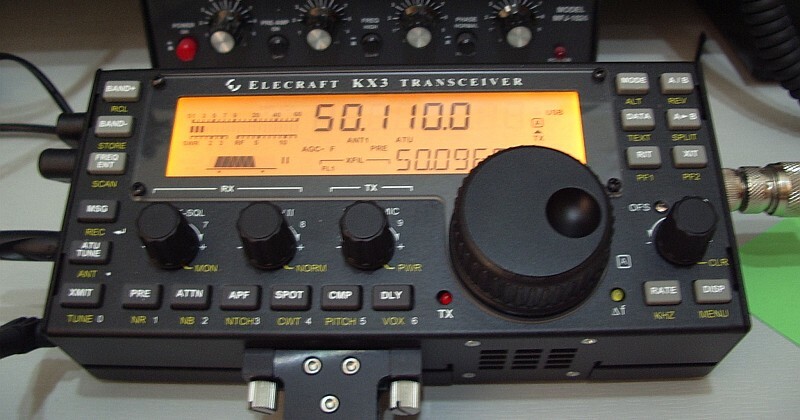 For the time being, Elecraft KX3 serial number 110 joins its two older siblings: K3 s/n 222 and K2 s/n 392 in my shack. But it will be a constant reminder and incentive to get fit and well enough for some QRPTTF operation. Thanks to everyone involved in sending me this wonderful little radio. Today is my 59th birthday. I opened my inbox to find several greetings messages from various websites and forums. Ah, you're never without a friend in cyberspace! But today deserves celebration as the birthday doctors told me I'd have a slim chance of seeing. Pah! Doctors! What do they know anyway? There's no reason why you, my loyal readers, can't have a drink on my behalf, though. So here's hoping I'll still be hamming, blogging and beating the bugger in 365 days time, and many more days after that. Thanks for all your support, and for reading my blog. Thanks to Rob, G0JSO for letting me know about a charity event in aid of what I hope you'll agree is an extremely good cause. Relay GB is a round Britain relay event attempting to break a world record and raise money for Brain Tumour UK, a leading charity committed to fighting and raising awareness about brain tumours. Rob organized and ran the leg from Caldbeck to Kirkpatrick-Fleming with some of his club mates. Find out more or make a donation on the Relay GB website. 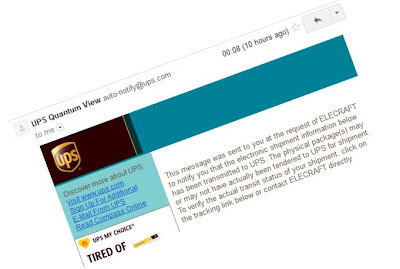 I opened my mailbox this morning to discover the email that hundreds if not thousands of hams worldwide have been waiting for - a shipping notification from UPS to say that a 5lb package from Elecraft is on its way! A 5lb package from Elecraft? What could that be? Ah. it must be the KX3 I didn't order. That's right. Didn't order. I haven't ordered a KX3! I'm not saying I'm never going to, but I am not even going to think about it until such time as orders are fulfilled off the shelf. 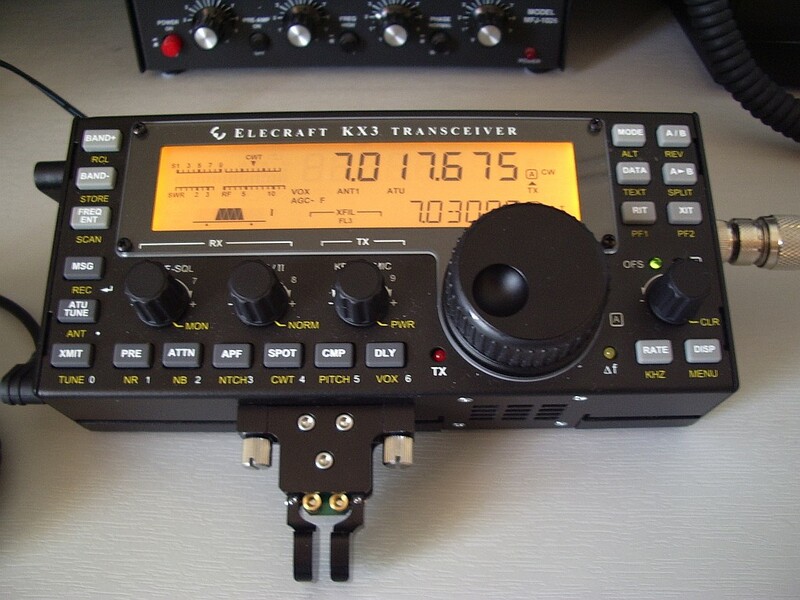 At the moment I believe that the lead time for an Elecraft KX3 ordered today is about 4 months. These days I just don't plan that far ahead. I forwarded the email to Elecraft Sales in the hope that they can figure out who this notification should really have gone to and why it came to me. But for a brief moment this morning I thought this was going to be my lucky day! From May 5 until June 10 British amateur radio stations that have been granted permission to do so may use the prefix GQ, MQ and 2Q0 in place of their regular G, M or 2x0. For the duration of the 2012 Olympic Games British amateurs may use GO, MO and 2O0 instead of their normal calls. As a sport-hating republican (and I don't mean the American political party of the same name) G4ILO will continue to use the callsign that has declared me to be an ENGLISH amateur radio operator for the last 30-odd years. So now you know!